Last month we asked you, the audience, to get ready to take the stage in December. We asked for submissions for audience members who wanted to give brief talks on how the theme of CONTEXT has shaped their lives, perspectives, and creative journeys, and wow did you ever respond. Head on over to the event page for more information (coming soon) about each of our speakers and what they’ll present about. Thank you SO much to all of the amazing applicants who submitted ideas for this event. 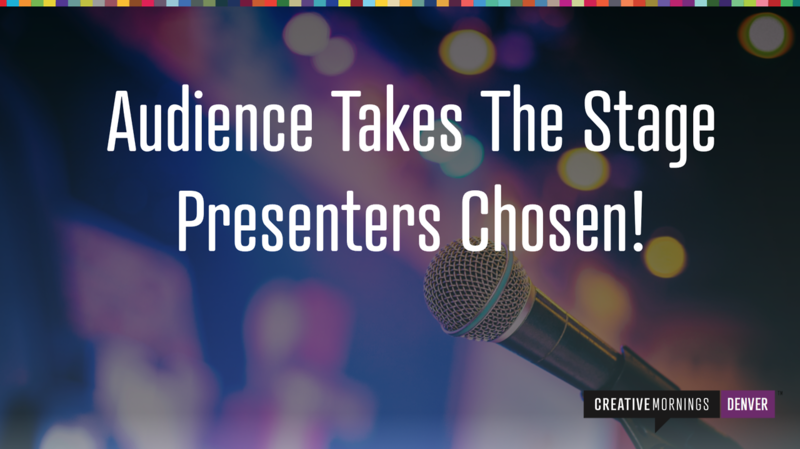 Choosing just five of you was an impossibly hard task given the breadth of amazingly creative and talented folks in our community who submitted to speak. We’ll definitely do this again and hope to see you all up on stage one day soon!